Break out singles “Money & Beef” and “Cool Kid” - tracks that quickly cemented Loski as the one to watch in London’s drill scene, racked up a cool two and a half million views each to date - ‘Call Me Loose’ is set to put Kennington and, by proxy, Loski on the map. Like most kids his age, he became caught up in the trappings of his area. Drill began to pop off around the same time and Loski and his pals found inspiration in the young Chicago artists who were making a name for themselves so, that’s exactly what he did. In 2016 - at 16 years old - he released “Hazards”, the track that first illuminated his name among the UK music scene. 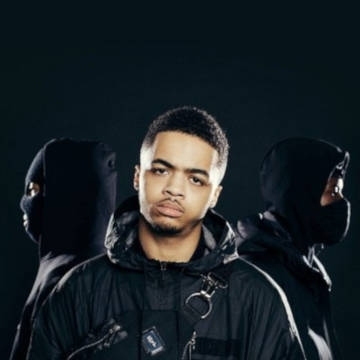 With his ‘Mad Move’ mixtape set for release this March, shows and achievements on the horizon, 2019 is set to be a massive year for the South London rapper.